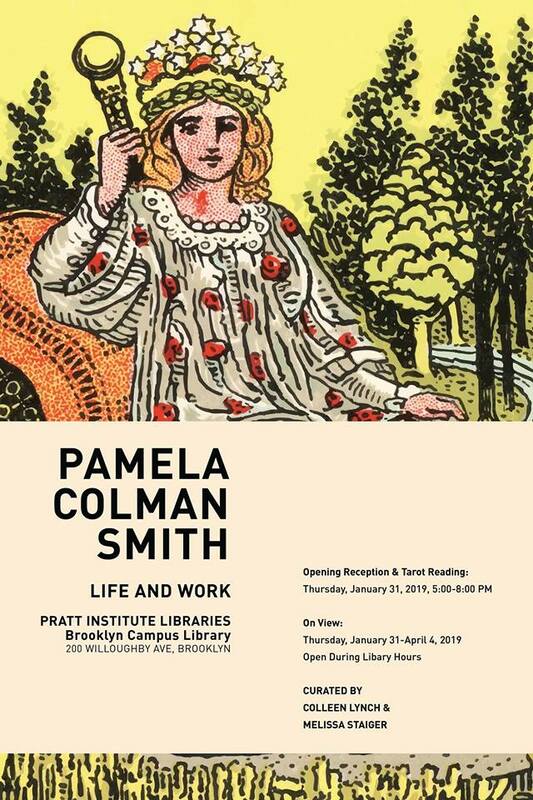 Pamela Coleman Smith: Life and Work, in Brooklyn – Zero Equals Two! 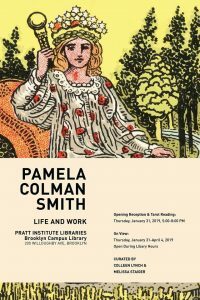 Opening January 31, Pamela Coleman Smith: Life and Work will exhibit through April 4 at Pratt Institute Libraries Brooklyn Campus. 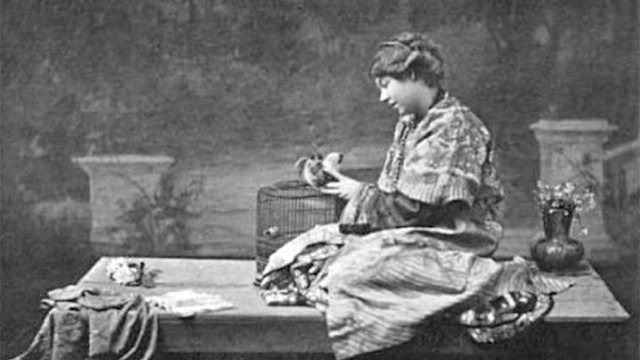 “This exhibition presents an overview of Smith’s life and multi-faceted career, showing books, prints, reproductions of illustrations and paintings, and tarot decks, along with photographs of her illustrious family and friends. Telling her story and providing a context for her work, this exhibit shows how her style, archetypal subject matter, and interest in ancient spiritual traditions profoundly influenced her drawings for one of the most popular tarot decks in use, the Rider-Waite-Smith tarot,” says the library’s website. There will be an opening reception and tarot reading 5:00pm – 8:00pm January 31. Pratt Institute Libraries Brooklyn Campus is located in Brooklyn at 200 Willoughby Avenue. Eter at the corner of DeKalb Avenue and Hall Street/St. James Place. For more information and hours, please see the library website. Thanks to the Aiwass Study Group for the tip!